New Delhi- ED attached assets worth Rs. 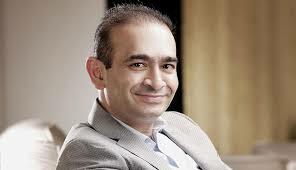 637 crore of absconding jeweller Nirav Modi and his family in connection with the alleged fraud in the PNB. Jeweller and his uncle MehulMrChoksi are the main accused in the PNB fraud case.As per Enforcement Directorate assets have been attached as part of five separate orders issued under the Prevention of Money Laundering Act.